Have you gone shopping for window treatments in the past, only to find yourself staring at fabric swatches and catalogs that may or may not match with your interior? At Window Concepts, we believe that choosing your elegant curtains, blinds, shutters, or valances should not be left to chance. 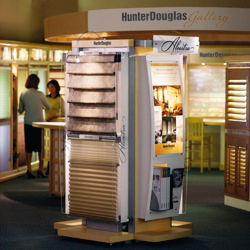 With the Hunter Douglas Gallery®, say goodbye to your concerns once and for all. Put your mind at ease by sampling first-hand the sophisticated array of premium Hunter Douglas home window treatments. Our full-size displays are fully interactive, allowing you to make the right decision without any second-guessing. 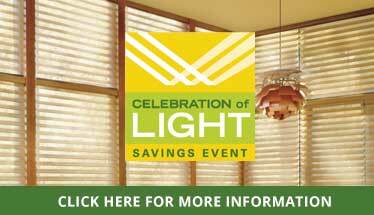 The Hunter Douglas Gallery® is an exclusive program only awarded to a select few window treatment retailers. Having been successfully vetted and hand-selected by Hunter Douglas, the staff here at Window Concepts is no longer just a sales team—we are certified window covering experts. We promise to go the extra mile to ensure you get exactly what you need for your home. 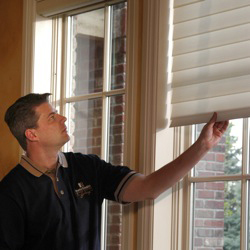 Our team are specially trained in the full Hunter Douglas line to answer any question you may have about fit, color, financing, and installation. Customer satisfaction is our primary goal, meaning that you are receiving only the finest selection and service available. Shopping with us is more than selecting your product and swiping your credit card. At Window Concepts, we work with you from the moment you ask about our Hunter Douglas products, to the installation process, and beyond. Enjoy a retail experience that includes an individual consultation to specifically address your needs, professional installation of your luxurious new window treatments, and a dedicated follow-up that ensures your full satisfaction. You can rely on our in-home design service to make certain that your product choices perfectly complement your interior. You will also receive the Hunter Douglas Lifetime Guarantee and the Hunter Douglas Gallery®-exclusive Right Choice Promise™ (some restrictions apply, ask your window treatment expert for details). Never second-guess your window treatments again with the Hunter Douglas Gallery® shopping experience at Window Concepts in Paoli, PA.